CRYENGINE’s designer tool is both powerful and incredibly versatile. It simply, efficiently, and rapidly allows you to create entire scenes in the engine. Today, we’re releasing a demo level which you can download from CRYENGINE Marketplace for free right now. The demo level has been created by our very own Aleksander Budzynski, Senior User Experience Designer for CRYENGINE and was developed in just a day, entirely with Designer. 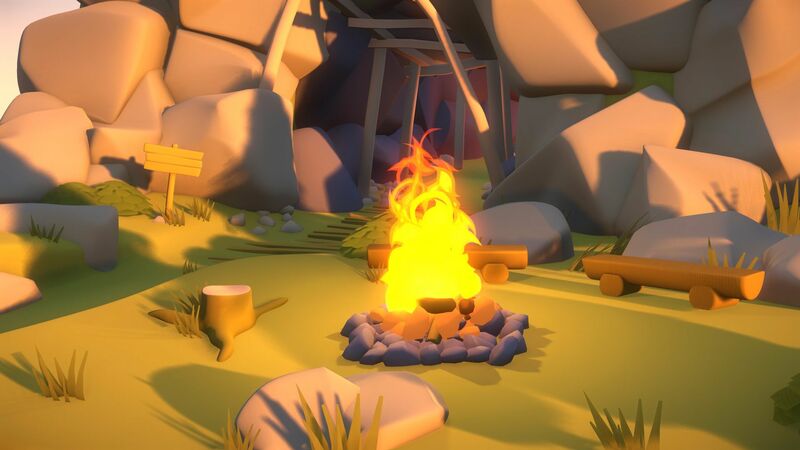 While CRYENGINE is rightly famed for photorealism, the demo shows how a low-poly, cartoon art style can easily shine and the level uses simple materials. Most of the assets in the map use the subdivision feature, which creates a smooth mesh without complicated manipulations. The subdivision tool enables you to easily create an art style like The Cave. You can download ‘The Cave’ for free from CRYENGINE Marketplace right now and you’re free to use it and modify it in your own projects, or simply explore it at your own leisure. Look out for more demo levels which will be released on CRYENGINE Marketplace for free soon. If you have feedback or comments, we’d love to hear your thoughts on Facebook, Twitter and here on the forum. And if you’d like to contribute to the evolution of CRYENGINE you can find out more here. Today we are releasing the next level in a series of demos which shows the different ways the Designer tool can quickly, efficiently, and rapidly create entire scenes in the engine. Head to the CRYENGINE Marketplace right now and you can download ‘The Office’ for free. The demo level has been created by our very own Aleksander Budzynski, Senior User Experience Designer for CRYENGINE, and was developed entirely with CryDesigner. It shows how you can use our Designer tool to white-box your scenes and demonstrates the flexibility of the in-editor modeler. Aleksander chose to create an office scene for this demo and it uses features which allow you to rapidly develop realistic white box scenes and entire levels from scratch in different art styles. You can download ‘The Office’ for free from CRYENGINE Marketplace right now and you’re free to use it and modify it in your own projects, or simply explore it at your own leisure. 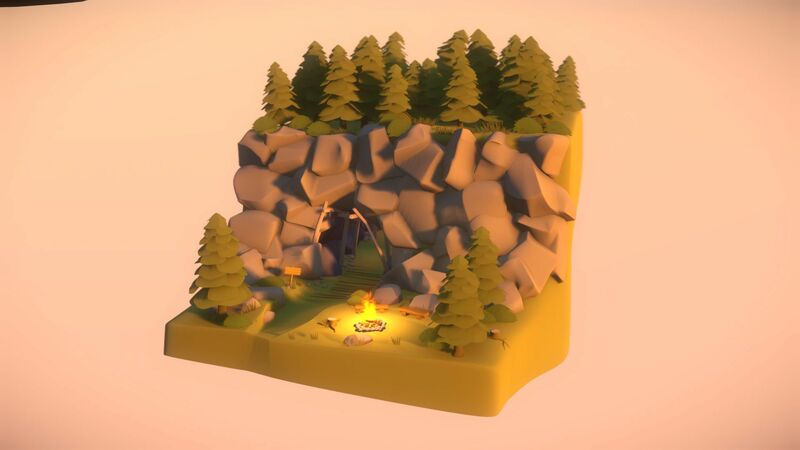 While you are there, why not check out ‘The Cave’ – another Designer demo we recently released (previous post) which also demonstrates a beautiful low-poly art style. Look out for more demo levels which will be released on CRYENGINE Marketplace for free soon. Like these assets? Don’t forget to leave a review. We’d also love to hear any feedback or comments on Facebook, Twitter and our forum. Your contributions are vital to the continued evolution of CRYENGINE – if you’d like to find out how you can help, you can find out more here. CRYENGINE Preview 5.4 CRYDesigner Demo 'Truck' now available. Are you testing CRYENGINE 5.4 Preview right now? We got something for you: Go truckin’ with our latest designer demo, which you can download from CRYENGINE Marketplace for free right now. The designer truck scene is a complete asset that was modeled and textured entirely within CRYENGINE using the designer tool. We have released it using the Github 5.4 Preview Build and kept the asset as a collection of designer objects, so you can edit and see exactly how it was constructed, from the geometry and subdivision to UV shells within the UV mapping interface. The demo level was put together in CRYENGINE 5.4 by our very own Aleksander Budzynski, Senior User Experience Designer for CRYENGINE. Not only will this asset enable you to check out how it was put together, but you can also find the names of our CRYENGINE Sandbox engineers across the various panels of the truck! The designer tool is an extremely flexible and powerful feature which lets you quickly white box realistic scenes or provide low-poly geometry for efficient white boxing in your project. We’ve taken things one step further with this free download to showcase the subdivision and UVing features located directly within the tool itself. This truck asset is the latest free scene that shows the different ways you can use CRYENGINE’s designer tool. You can also check out 'The Cave’ and ‘The Office’ to see more ways you can use the tool. You are free to use each of these scenes in any way you wish in your own projects, and we hope it sparks some inspiration for your next game and workflow. If you have feedback or comments, we’d love to hear your thoughts on Facebook, Twitter and our forum. And if you’d like to contribute to the evolution of CRYENGINE you can find out more here. Head to CRYENGINE Marketplace to pick up one of our largest free scenes yet, made entirely with our designer tool. Our latest free scene is a beautiful, serene, and expansive Chinese garden, created entirely using the designer tool in CRYENGINE and created by our very own Aleksander Budzynski, Senior User Experience Designer for CRYENGINE. The scene shows the flexibility of the in-editor modeler which is provided as stock with CRYENGINE to all users, and you can download it here, right now. The scene highlights how you can create a variety of models, from organic trees to sacks of grain and buildings, all within the engine. The designer tool lets you quickly white-box realistic scenes or provide low-poly geometry for efficient white-boxing in your development, and this particular scene was created as a stress test for the features which are delivered in the engine today. Note: The Chinese Garden Asset is for use in our Preview 5.4 builds and beyond. After downloading the asset, open the folder and copy the “Assets” folder as well as the “system.cfg” into your preview build root folder. Open the Preview build’s Sandbox Editor and go to File > Open and chose the Chinese Garden level. We hope these assets show you how you can get the most out of our designer too. If you have feedback or comments, we’d love to hear your thoughts on Facebook, Twitter and here in the forum. And if you’d like to contribute to the evolution of CRYENGINE you can find out more here. Re: [Free] CryDesigner demo levels available now! Awesome. Keep it coming Alexander.